Demand for Canada's exports that will do well in Southeast Asia, such as agricultural products, foodstuff and transport equipment, have been met to a large extent by countries with similar comparative advantage, such as Australia and New Zealand. Earlier this month, Prime Minister Justin Trudeau went around Asia talking up the Canada brand and trying to convince people that more of Canada is good for Asia. The prime minister was charming and at ease. When a student at the National University of Singapore told him he was "very good looking," Trudeau responded: "It's the Singaporean blood," a reference to his maternal connection to Major General William Farquhar, who was the first British governor and commandant of the island back in 1819. 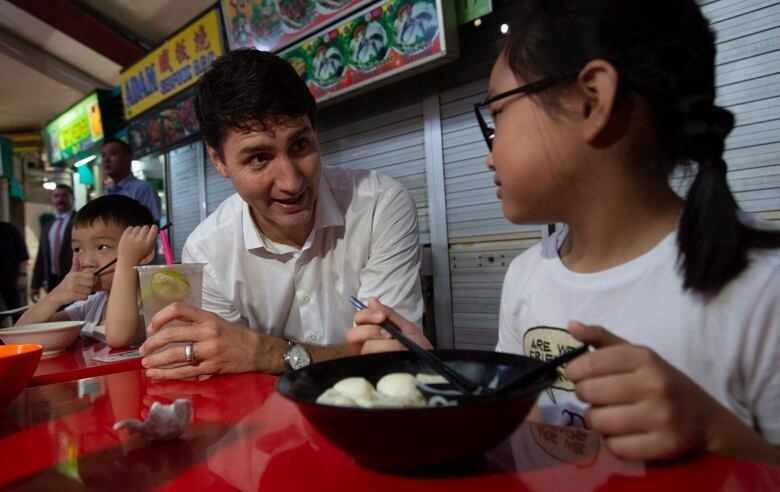 Local newspapers reported him dropping in at a popular local hawker centre; Trudeau sat down and chatted away with Singaporeans, young and old, as people busily snapped selfies with him. Trudeau's personal touch certainly helps him to connect with foreign dignitaries and common folks alike. Yet it is unclear whether his charm offensive is sufficient for the ASEAN (Association of Southeast Asian Nations) community to want to let him into the group. Canada is exploring a potential trade agreement with the ASEAN bloc, consisting of ten countries in Southeast Asia with a combined GDP of $3 trillion US, about double that of Canada. This dynamic region has a young and rapidly growing population, with an ever-expanding consumer base. It is also home to the world's fourth most populous country, Indonesia. The snag is that Canada is late to the game. Very late, some would say. ASEAN is the part of the proposed Regional Comprehensive Economic Partnership (RCEP), led by China and includes countries such as Japan, South Korea, Australia, New Zealand and India. The member countries are close to sealing a deal, which aims to cut tariff and non-tariff barriers among them. RCEP notably excludes the U.S., as part of China's strategy of keeping its strategic competitor out of Asia. With the Trans-Pacific Partnership (TPP) now defunct after the U.S. withdrawal from it last year, RCEP is now the only game in town. With a combined GDP of nearly $50 trillion US, the member countries account for 40 per cent of the world's economic output. Canada is not in RCEP. Demand for Canada's exports that will do well in Southeast Asia, such as agricultural products, foodstuff and transport equipment, have been met to a large extent by countries with similar comparative advantage, such as Australia and New Zealand. Those countries will not want to see Canada having closer relationship with the region. Hence, Canada needs to double, or even triple, its efforts in courting the Southeast Asian nations. 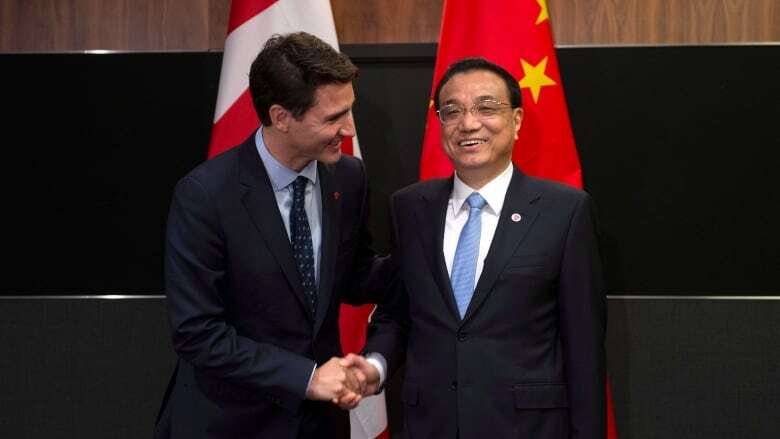 The other no-less-important objective of Trudeau's trip to Asia was to assure China that Canada is still very keen on deepening their economic ties, though their relationship is now complicated by the new free trade agreement between Canada, the U.S. and Mexico. China was the elephant in the room during the final phase of the USMCA negotiations. The addition of Article 32.10 , which allows a member to terminate the agreement if a party enters into a free trade agreement with a "non-market country" (meaning China), is a shrewd U.S. strategy to keep its trading partners away from China. With the full throttle U.S.-China trade war in the backdrop, Article 32.10 is another weapon in the arsenal that the U.S. can deploy against its competitor. All of this means that Canada needs to diversify its trading partners desperately. About three-quarters of our exports are destined to one single country: the U.S. Another 10 per cent goes to Europe and other developed economies. However, advanced nations are mature economies with slow and steady growth rates. They are not as dynamic as the developing countries with rapid growth rates and increasing purchasing power. Yet, only one-tenth of our trade is with emerging economies such as China, Mexico, India and Brazil. This put us significantly behind our peers in this respect. About 40 per cent of Australia's trade is with the emerging economies; about 30 per cent for the U.S. and Japan; and 20 per cent for Germany. Why does Canada like doing business with the advanced nations? The reason is simple. They have the democratic institutions, rule of law and secure property rights that are akin to ours here in Canada. It is much easier to do negotiate a contract, set up a factory and hire workers in the U.S. than it is in China, India or Indonesia. We don't need to hire an interpreter, learn a new language, culture or social norms. We can expect business partners to live up to their end of deals, and the public institutions in host countries to step in when things go wrong. We also live next to the largest developed economy in the world. It has been simply easy, perhaps too easy, for Canadian businesses. So much so that we have become complacent and oblivious of the fact that the world's economic centre has now shifted to the developing economies of Asia, which many Canadian businesses continue to ignore at our own peril. With the U.S. getting more insular and pandering to populist demands, the need for Canada to play catch-up and diversify has never been as pressing as it is now. Canadian businesses will need to venture out of their comfort zone. To learn about economic and political risks of operating in those unstable business environments, and how best to cope with them. It will not be easy; our learning curve is steep, and our government has come to it late. But in today's competitive globalized world, no pain no gain.